Who says that classic and quality craftsmanship has to be expensive? We know that planning a wedding is not a cheap venture, and we make it easier than ever to not settle, but still save money. Our men’s designer 3mm traditional fit milgrain 14K yellow gold wedding band is the perfect choice for your groom. The exceptional and detailed crafting of the milgrain edges perfectly complement the gleaming yellow gold domed band for a timeless look that is sure to catch everyone’s eye. The smaller size of the band ensures that it is subtle, but still noticeable, for the groom who prefers to not stand out. When you’re making a commitment that is for a lifetime, you want to know that you’re making the right choice. 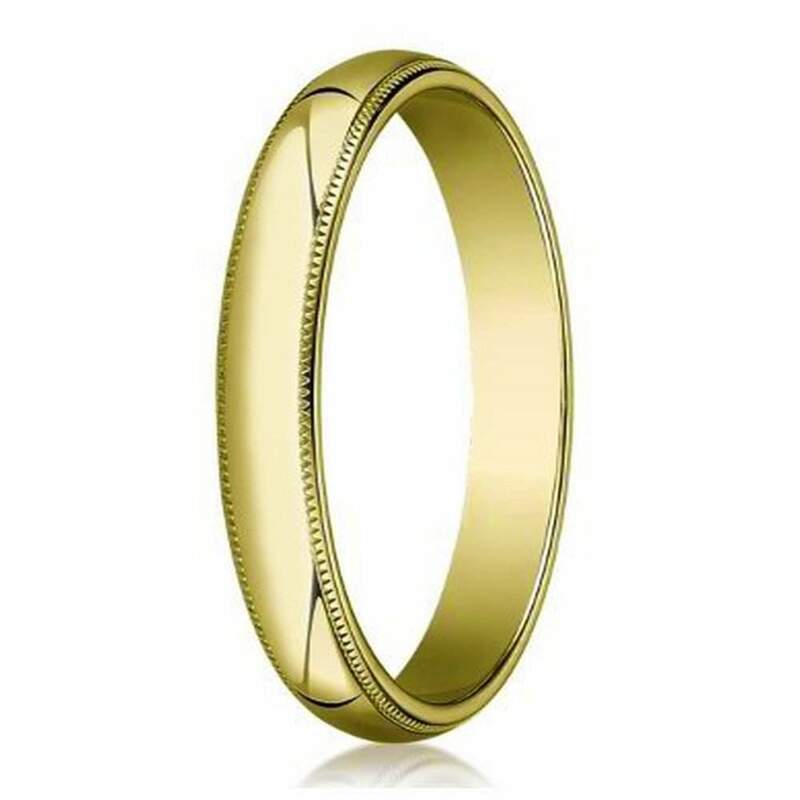 Our men’s designer 3mm traditional fit milgrain 14K yellow gold wedding band will not let you down. Just because it’s a lower price doesn’t mean that it won’t last as long as your love. All of our products are made with high-quality materials, and we provide a ring box with every order, ensuring that your ring will not get damaged on its way to you. Easily add some style and class to your every day with this ring. To add a final custom touch, we offer custom engraving up to 30 characters, allowing you to include a meaningful lyric, initials or the date of your nuptials.